Ethernet has far outgrown the confines of the office network. From factories and farms to railways and retail shops, credit bureaus, banks—even medical and dental offices—anywhere serial devices are found—the device servers, also known as terminal servers, offer network managers the lowest-cost solution for making the transition from legacy serial infrastructure to the age of IP. 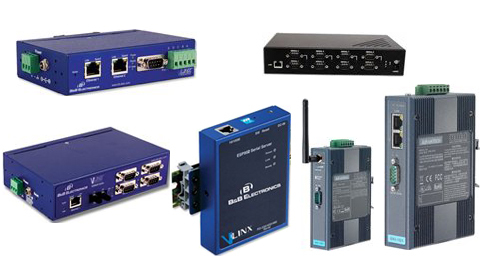 Whether you have an entry level or heavy duty industrial application, we have high performance Ethernet to serial servers to meet the connectivity and conversion challenges. The serial device servers include mini serial servers, wireless solutions, multi port servers, OEM server boards, and much more.